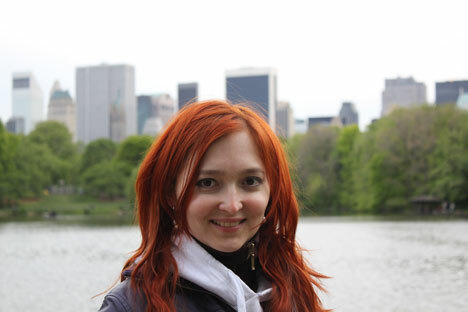 Zhanna Sharipova is the founder of food start-up Dish.fm, which helps its users to find the best dishes in their city. She shares with RBTH her top choices in apps. Which app is your favorite? The Jawbone app and bracelet, which measure the number of steps I take every day and the quality of my sleep. It is a very handy app, which motivates me to play more sports and go to bed earlier. I don’t like Apple Maps because it doesn’t show houses on Moscow maps, and, in San Francisco, you can’t plan a route using public transportation (you can with Google Maps). Quora is a cool app with very interesting content. It helps you search for both important data (which company has which strategy and why) and fun info (how secret agents work and what people feel after 20 years behind bars). I’d invest in an upgraded version of Jawbone. I wish the bracelet could discriminate between various activities, measure heartbeat and understand that a person has fallen asleep. I believe that new health products will be in great demand.